Southern Lion S/Bhd (SLion) is a 50/50 joint venture company between Lam Soon (M) Bhd and Lion Corporation Japan, which started its operations in April 1987 in Larkin Industrial Estate, Johor Bahru. Southern Lion celebrated our 10th Anniversary by expanding our production capacity. We added a second drying tower to meet the ever increasing demand from the market. In Y2000 we completed our own Sulfonation Plant. The new Sulfonation Plant increased production capacity while maintaining cost efficiency. We also launched our own Personal Care Production Plant due to the overwhelming demand of Shokubutsu Body Shower Foam. Southern Lion’s Personal Care Production Plant received the GMP Certification as we take quality assurance and product safety seriously. In 2012, Southern Lion reached another milestone where we completed the new drying tower, supplying detergent powder to the ever growing market. opening ceremony of the new Liquid Production Plant. This new plant focused on the production of liquid detergent and fabric softener for the local and export market. 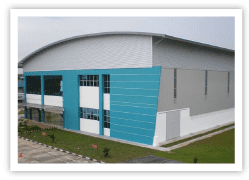 Growing at a steady pace, Southern Lion moved to a larger premise and became one of the pioneer factory in Tebrau Industrial Estate. This newly built factory houses facilities to produce detergents in the form of powder, liquid, bar and paste. With the new facilities, Southern Lion also started producing detergents for our sister companies in Singapore and Hong Kong. 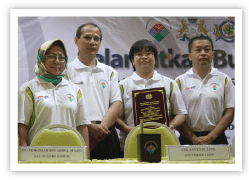 We realized the importance of producing high quality products and maintaining the efficiency and quality of the manufacturing process, to which Southern Lion Sdn Bhd became the First Detergent Company in Malaysia to be, certified ISO 9001 in March 1999. Southern Lion decided to preserve the environment while manufacturing high quality products as part of our corporate responsibility. In February 2003, we received the ISO 14001 Certification as our commitment to ensure that our activities and manufacturing process does not harm mother nature. Conducting business in a Muslim country with Muslim consumers, we know the importance of a guarantee in our products are safe to be used. 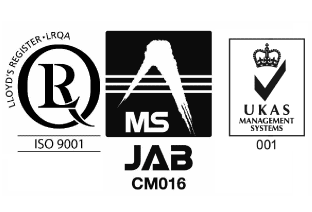 In November 2006, Southern Lion products were certified Halal by JAKIM. Due to the increasing demand and our commitment producing higher quality products for our customers, the new GMP Plant to produce our Personal Care Products was built and ready for operations on 6 December 2009. In conjunction with World Environment Day, Southern Lion signed a 5 year MOU with the Johor state Dept of Environment (DOE). We are committed in our efforts to carry out Environmental Awareness Programs. © 2016 Southern Lion Sdn Bhd. All rights reserved. You are viewing the Malaysian site.